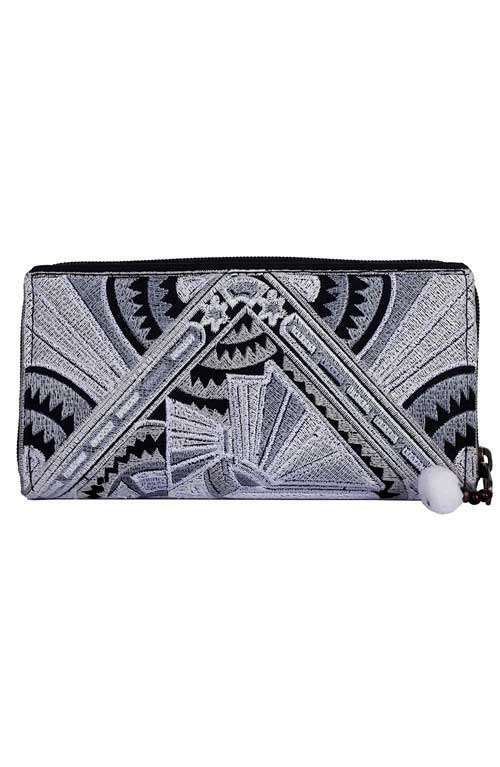 Beautiful silver bohemian clutch purse handmade in Thailand. 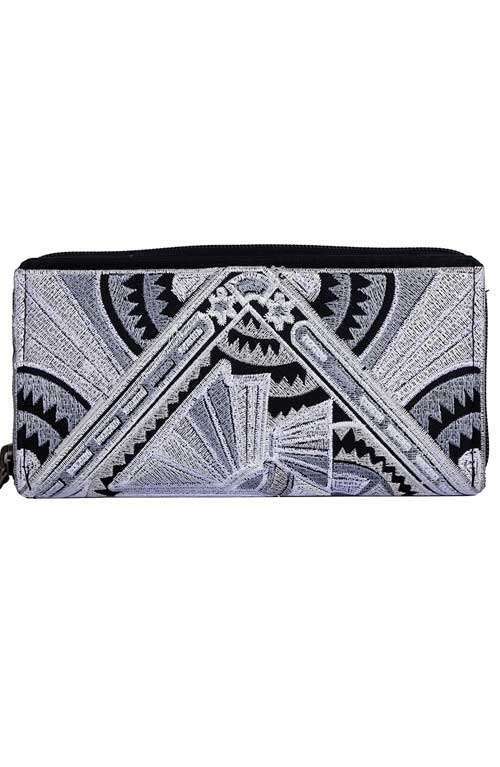 This boho purse is made with an beautiful embroidered fabric in Northern Thailand. The bohemian bag has a top zipper opening and an inside zippered pocket to keep your valuables. 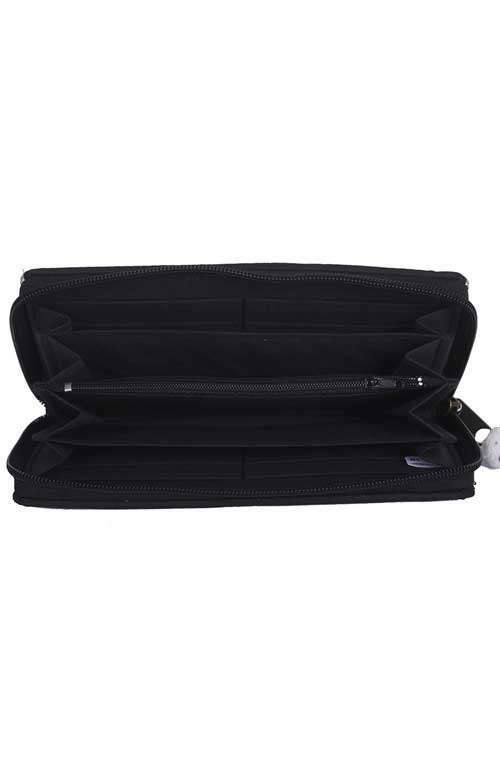 This small clutch is fully lined with black cotton fabric. A great wallet for any occasion.